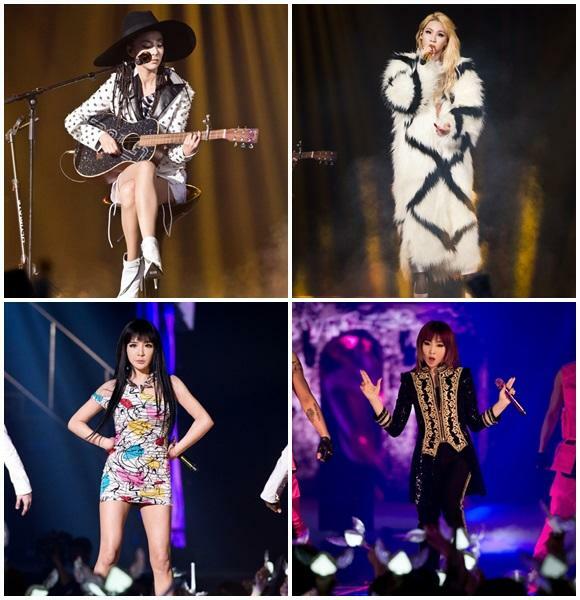 Billboard spotlighted music video of 2NE1's 'Gotta Be You'. On May 20th (local time), Billboard headlined an article about music video of 2NE1's 'Gotta Be You'. In the article, Billboard wrote, "Following a pair of fierce videos initially revealed when 2NE1 dropped their record-breaking "Crush" album, the K-pop phenoms have followed up with a visual for new single "Gotta Be You," showcasing the girls singing and rapping through a pop-art world." Billboard went on, "Despite every punch of color, the girls never crack a smile making for a fascinating, juxtaposed visual. While the vid is filled with glamour shots, there is a key point where CL gets drenched inside a car wash that is less a wet T-shirt contest turning on the camera and more about embracing the longing lyrics of the track." Billboard also wrote, "The girls mix the song's sentimental subject of being in love with someone despite them giving up on the relationship inside a bright, pop-art world. There are references to Roy Lichtenstein comic books, Andy Warhol's "Brillo Boxes", along with splashes of graffiti, emoticons and neon throughout the video sets. Despite every punch of color, the girls never crack a smile making for a fascinating, juxtaposed visual." Billboard evaluated, "Sonically, "Gotta Be You" lets 2NE1 flex their mix-mastering skills to blend a new genre of synthy dance-pop into their rap/EDM formula." They lastly added, ""Gotta Be You" originally peaked at No. 4 on the K-Pop Hot 100 and No. 16 on Billboard's World Digital Songs chart. The video should give the "Crush" LP additional longevity and breathe a bit of new life for it on the charts." Meanwhile, 2NE1 are in the middle of their 2nd world tour at the moment, and their next show will take place in Kuala Lumpur, Malaysia on May 24th.